In a few words -- informative, convenient, and friendly! It is very convenient to have someone come to your home to check up on your pets, especially in difficult situations. We have been using nova mobile vet for seven years since it was founded. The doctors, staff, the responsiveness and the treatment could not be better. Best vet in the area! It's absolutely amazing that most of their services can be done from your home (or in their mobile unit at your home). We have two cats and one that gets extremely anxious when he has to visit the vet and acts out. Pet owners will attest that the car-ride to a veterinary clinic can be the undoing of both animal and owner. Fortunately NoVa Mobile Vet can completely eliminate that anxiety from the equation. 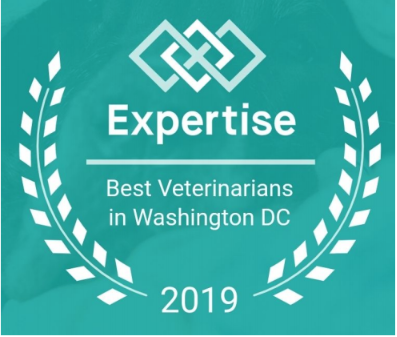 Thanks to the veterinary services provided by Nova Mobile Vet, your pet will receive the full attention of a doctor and a veterinary assistant at your home in our mobile animal hospital. Our veterinary team will expertly examine your pet and deliver answers to any burning questions you may have. Plus our on-site pharmacy can immediately provide you with the pet meds required or connect you to our affiliated pharmacy that will quickly delivery the medications to your front door. 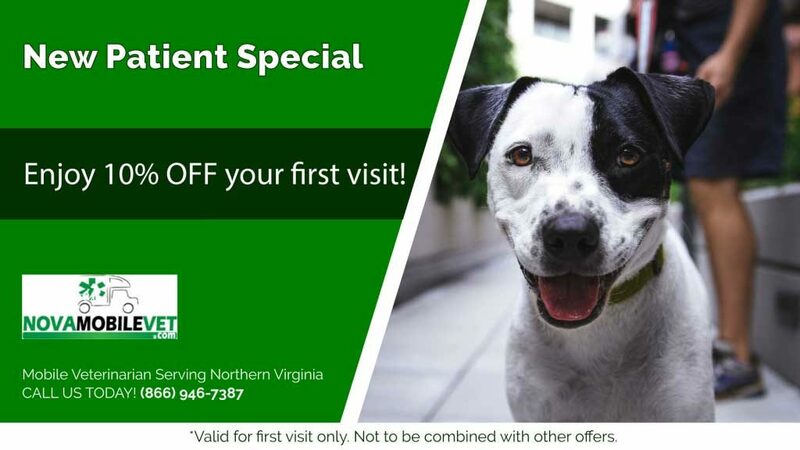 NoVa Mobile Vet is a complete mobile animal hospital stocked with all the tools featured in local Virginia pet care facilities. There is no need to struggle with taking your pet to the vet as NoVa Mobile Vet will bring the veterinary clinic right to you! Our state-of-the-art mobile pet care facility is stocked with the latest medical, diagnostic, and surgical equipment to ensure the well-being of both pet and owner. NoVa Mobile Vet is happy to bring the following vet services right to your own front door.